Ease and simplicity is important to access certain information. This is why we provide the Table of Content below. With this Table of Content, you can go to certain part of this writing about FujiFilm FinePix S2800HD Manual PDF simply by clicking on the sub topic below. So, we can say that manual is the best reference when we want to understand the digital camera product. This is what motivates us to bring FujiFilm FinePix S2800HD Manual PDF here, with this manual we hope that we can help you understanding this Canon camera product better than before. It is such a state that we will talk about the specification first before hitting the manual. So, in this writing, we will save the FujiFilm FinePix S2800HD Manual PDF for the last. And for now, we will talk about the specification of this Japanese-made camera, starting with the overall look of it first. As shown in the FujiFilm FinePix S2800HD manual, the camera was encased in the body dimension at 110 x 74 x 82 mm and weighs only at around 437 gram. The front of the camera is dominated mostly by the lens barrel, just few centimeters beyond the handgrip. A good housing pop up flash sits above the lens which can manually by pressing a dedicated button at the top right hand edge. A shutter release button accompanied by a lever for operating the zoom can be found on the top plate. In addition, FujiFilm FinePix S2800HD manual also says that you will also get a dedicated button to activate/deactivate Face Detection and to swap drive modes between continuous and single capture. Meanwhile, a super-large 3-inch LCD display and most of control menu buttons are located on the rear. Officially introduced in February 2010, the new FujiFilm FinePix S2800HD is claimed to be one of the smallest 18x zoom cameras in the world. This camera has look and feel like a DSLR due to the body type. The S2800HD comes as an updated version of the previous model, the S2500HD with more than 7% of improvement in several aspects. This latest FujiFilm’s S-series is an ideal selection for those looking for the ease-of-use of a compact camera but hoping extra-long zoom capabilities. Let’s get to know more about the camera’s design, specs, and features as explained below. The combination of 14.0 million effective megapixel and Fujinon-branded 18x optical zoom lens result maximum image resolution at 4288 x 3216 pixel. Based on the FujiFilm FinePix S2800HS manual, the images are captured in 4:3, 3:2, or 16:9 of aspect ratio. The good news is that the FujiFilm FinePix S2800HD includes Image Stabilization to fight against blur. The camera lens is useful for wide angle to powerful telephoto by offering actual focal lengths ranging from 5-90mm. The aperture setting can be set in two-step, either F5.6 or F11 at telephoto and F3.1 or F6.4 at wide angle. In Macro mode, users are allowed to capture images as close as 0.8 inches, perfect feature for dramatic close-up. Furthermore, FujiFilm FinePix S2800HD manual says that composing and framing the images are now more precise with the incorporation of 0.2-inch electronic viewfinder and 3-inch LCD display. Finally, four AA batteries are required to shot up to 500 frames when using NiMH battery type. I believe that FujiFilm FinePix S2800HD is able to continue the success of its predecessor with all the superiority. My appreciation goes for high sensor, superb 18x optical zoom capability, super-large LCD display, Full HD video recording, and full manual controls. On the other hand, users might not expect much from the wireless connection, RAW shooting, and manual focusing. All-in-all, the S2800HD is an ideal camera for advanced beginners to intermediate photo enthusiasts at the price range from 224.99 USD. In the first line of this writing, it is already stated that the aim of providing this article is to bring the FujiFilm FinePix S2800HD Manual PDF into the surface. This manual is the best reference for both user and enthusiast who want to learn about this product deeper. With this manual, there will be a lot of information gained too. Something like specification, operation, camera parts, features, and others will be perfectly stored in here. 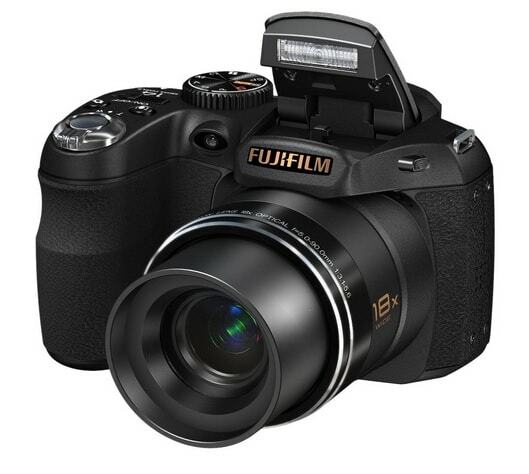 Therefore, if you want to know about this FujiFilm FinePix S2800HD Series camera, referencing to the FujiFilm FinePix S2800HD Manual PDF below will be the best thing to do. But, the manual will be provided in PDF. So, before accessing it, it will be better if you download the PDF reader software first. Finally, that’s all of the explanation about FujiFilm FinePix S2800HD Manual PDF. With this manual, hopefully we can help you to gain the essential information about this product. Further, if you have other ideas about this camera, we welcome you to put your thought in the comment session below. And if you think this writing is valuable, you can share it in your personal page to spread the information to other audience.